Want to get the new Chrysler, Dodge, Jeep, Ram of your dreams? Financing doesn’t have to be complicated. 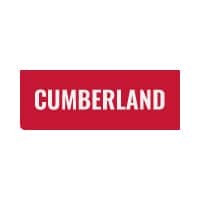 Here at Cumberland Chrysler Dodge Jeep Ram FIAT, we believe in helping our customers every step of the way, from the time they first glance at our website to when they drive home happy in a new vehicle. So when you find the perfect Chrysler, Dodge, Jeep, Ram or FIAT vehicle for you, let our qualified team of finance professionals find a plan that works for your lifestyle and budget. Our ultimate goal is to see all of our customers drive home happy in the vehicle that they wanted, and we can help, no matter the status of your credit score. If you’d like to jumpstart the car-buying process from the comfort of your home or office, you can get pre-qualified online using our no-obligation financing application. Whether you’re buying, leasing or just looking, our finance team wants to make sure that you’re comfortable with your decision. Contact us today if you’d like to discuss your options with us. If you have any questions about our finance department or how we can help you get behind the wheel of your next vehicle, feel free to contact us or visit us anytime at 1550 Interstate Dr, Cookeville, TN 38501. We look forward to serving our customers from Crossville and Sparta.